Andy Murray needed seven match points to subdue the 80th-ranked Mackenzie McDonald 3-6, 6-4, 7-5. 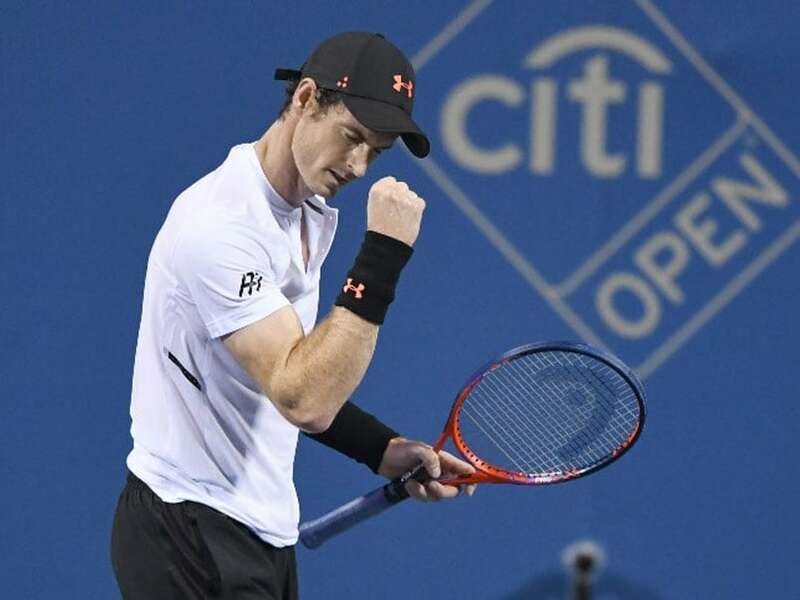 Three-time Grand Slam champion Andy Murray of Britain rallied for victory Monday in his first hard-court match since March of last year, defeating Mackenzie McDonald at the ATP Washington Open. 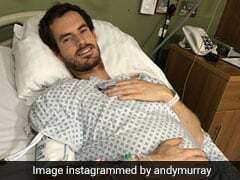 Former world number one Murray, still struggling after ending an 11-month right hip injury layoff in June, needed seven match points to subdue the 80th-ranked American 3-6, 6-4, 7-5. 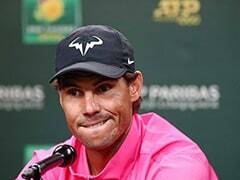 The 31-year-old Scotsman, now 832nd in the rankings, booked a second-round match against British fourth seed Kyle Edmund, who had an opening bye. 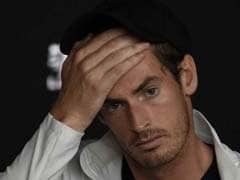 After making his return from January hip surgery last month at Queens and Eastbourne, Murray skipped Wimbledon and began preparing for the hardcourt campaign. His lone win on grasscourts came over Swiss Stan Wawrinka, another three-time Grand Slam winner fighting back from injury. Wawrinka, the world number 198 coming back from a left knee injury that kept him out nearly eight of the past 11 months, was set to face US qualifier Donald Young in a later match. Murray's first hardcourt match in nearly 17 months turned when he broke in the penultimate game of the second set and again on his fifth break chance in the opening game of the third set. Murray, whose best Washington finish was a runner-up effort in his 2006 debut, served for the match in the 10th game but squandered five match points, four of them on errors, and McDonald broke back to 5-5 when Murray netted a forehand to end the 12-minute game. At 30-30 in the 11th game, McDonald stuck his racquet over the net to play the ball, losing the point on a violation quickly called by French umpire Arnaud Gabas. McDonald then hit a forehand long to give Murray another chance to serve for the match. Murray made the most of it when McDonald hit a forehand long to end matters at 12:45 a.m. Tuesday after two hours and 37 minutes. 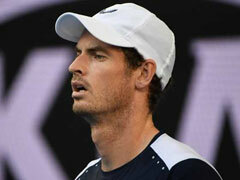 Rain postponed Murray's start by more than three hours but he began strong, breaking in the second game for a 2-0 lead. McDonald's ninth unforced error, a netted backhand, surrendered the break. 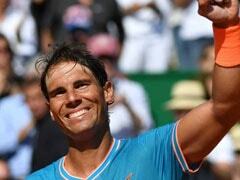 But the American responded by winning six of the next seven games to capture the opening set in 40 minutes. One of Murray's four first-set double faults surrendered a break in the third game and Murray's seventh consecutive lost second-serve point gave McDonald a 3-2 edge when the American hit a forehand winner. McDonald rallied from 0-30 down to hold for a 5-3 lead and broke again for the set when Murray sent a backhand crosscourt shot wide. Murray, who won only five-of-15 second-serve points in the first set, broke to open the second set but swatted an ugly forehand well wide to surrender a break in the next game, slamming a ball to the court in frustration at what in top form would have been a routine shot. Both held serve until the ninth game, when McDonald sent a forehand wide to hand Murray the break and a 5-4 lead. Murray held on a service winner to force a third set. McDonald had 20 unforced errors in the second set, six more than Murray. 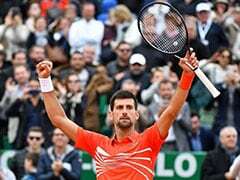 Tunisia's Malek Jaziri booked a second-round match against third-ranked defending champion Alexander Zverev of Germany by defeating Russian Evgeny Donskoy 6-4, 6-1. 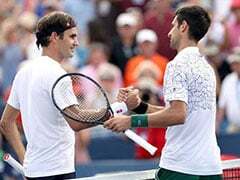 US wild card Noah Rubin beat Russian Mikhail Youzhny 6-4, 6-4 to reach a second-round match against US second seed John Isner.